Prince Harry goes to Washington in May. 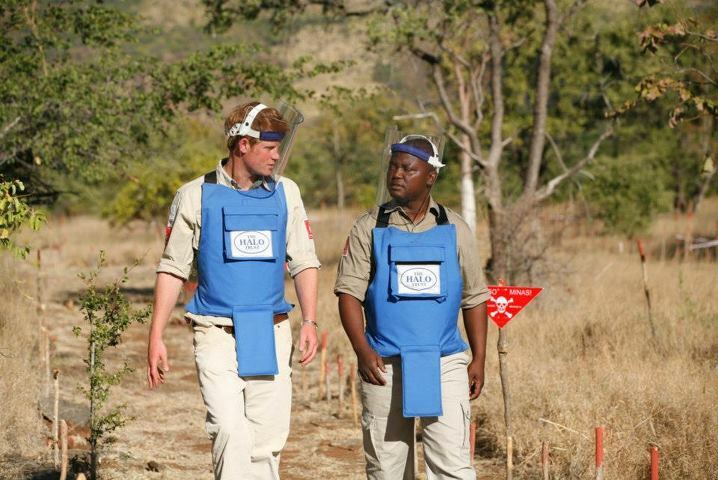 Prince Harry, we welcome you to visit Angola too. International Mine Awareness Day which took place on April 4 is an important reminder for Angola that the work of de-mining is active throughout the country, whether by NGO’s like MAG and Halo Trust and NPA and DCA or by the Angolan Military or the Angolan government, or private agencies. Halo Trust, who are busy de-mining in Cuando Cubango, have posted some stories on their website here including the handover ceremony with the US ambassador at Biopio hydro-electric dam in Benguela province, Angola. Click here to view the story of Britain’s Prince Harry, Patron of HALO’s 25th Anniversary Appeal.